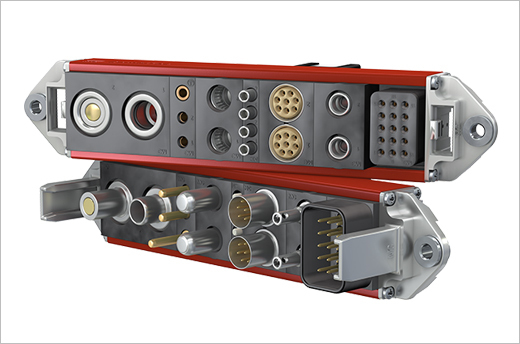 At Stäubli Electrical Connectors we have extended our existing CombiTac high voltage solutions portfolio by adding a brand-new 4-pole high voltage module for voltage levels up to 2000 V AC and 2500 V DC. The new high voltage module enables users to quickly and easily insert 4 high voltage contacts in a space-saving carrier without the use of tools and therefore reducing assembly time to the minimum. 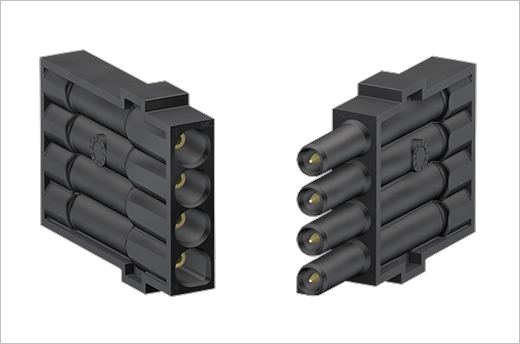 The use of specially formed MULTILAM contact technology in the CombiTac high voltage Ø 1.5 mm contacts guarantees long-life connector performance (100’000 mating cycles) and the overall solution is resistant to vibrations and shock. The new CombiTac 2.5 kV high voltage module is suitable for testing equipment and high voltage transfer applications in General Industry, Railway, and A&D.